"Dider Ludot owns the most famous vintage clothing store in Paris, the fashion capitol of the world. The store, La Petit Robe Noir, is housed in the prestigious Palais Royal, just steps away from the Louvre. Ludot has meticulously built and maintained a collection of black dresses, which features designs by Chanel, Balmain, Balenciaga, and Gaultier, among others. 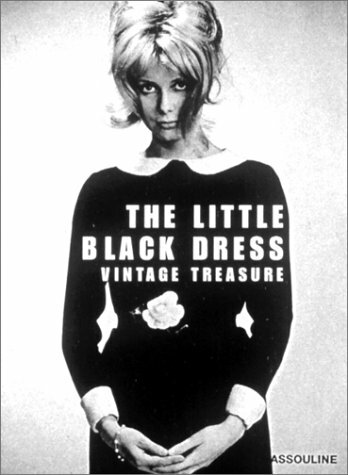 Photographs of these dresses are juxtaposed with archive photos of Romy Schneider, Catherine Deneuve, Jeanne Moreau, Sofia Loren, Edith Piaf, Paloma Picasso, Marilyn Monroe and Elizabeth Taylor - all in their black dress finest."